Kingston Technology A400 SSD 120GB SATA 3 2.5” Solid State Drive. Multiple capacities - Available in 120GB, 240GB and 480GB capacities, A400 is designed to suit anyone's needs. 10x faster than an HDD - With incredible read/write speeds the A400 SSD will not only increase performance but can also be used to breathe new life into older systems. This SSD drive has a 3 year manufacturer warranty. •SSD Functional Block Diagram. SATA interface computers. − Shock : 1500G, duration 0.5ms, Half Sine Wave. •Form Factor. − Host transfer rate •Power Consumption. Capacity: 480GB, Interface: SATA Rev. 3.0 (6Gb/s) – with backwards compatibility to SATA Rev. 2.0. 480GB — 500MB/s Read and 450MB/s Write. Fast start-up, loading and file transfers. A400 has a 7mm form factor to fit in a wider array of systems. Trending at $66.31eBay determines this price through a machine learned model of the product's sale prices within the last 90 days. Free downloadable software to monitor the status of your drive and clone a drive, or backup your data. WD FIT Lab certification for compatibility across a wide range of laptop and desktop computers. Kingston A400 SSD 120GB SATA III 2.5?. 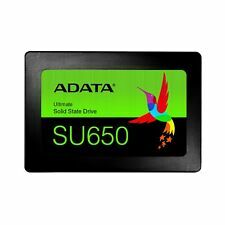 Internal Solid State Drive SA400S37/120G. It's the size of a credit card, and it's simple to remove so that you can keep your sensitive data secure. We will work with you, and do all we can to solve any problems. 100% health, zero bad sectors. Tested with HD Sentinel and SeaTools. Notes: 394XY SSD No caddy Included SSDSC2BB120G7R. OHSAS 18001:2017. ISO 14001:2015. ISO 9001:2015. Globally Certified. Samsung 840 EVO 120GB mSATA SSD. Condition is Used. Shipped with USPS First Class Package. With sequential read speeds of up to 530MB/s, this solid state drive performs up to 20x faster than a typical hard disk drive. SanDisk products are constructed to the highest standards and rigorously tested. Inland Professional 120GB 3D TLC NAND SATA III 6GB/s 2.5" Internal Solid State Drive. This is a great way up upgrade your computer/ laptop or to use as a new drive for a new build. Powered by a latest-gen controller for read and write speeds of up to 500MB/s and 450MB/s*, Kingston’s A400 solid-state drive is 10x faster than a traditional hard drive* for higher performance, ultra-responsive multi-tasking and an overall faster system. Samsung 840 Series 120GB Internal 2.5" (MZ-7TD120BW) SSD Lot (3). Condition is Used. Shipped with UPS Ground. Kingston 120Gb SSD. Like new condition. Trending at $30.39eBay determines this price through a machine learned model of the product's sale prices within the last 90 days. Series: UV500. Form Factor: mSATA. Capacity: 120GB. Device Type: Internal Solid State Drive (SSD). Interface: SATA III. High Quality SSD from NMicro Technology Made in Taiwan. after formatted about 111GB free space. Mfr Part #: WDS120G2G0B. Compatible with most desktop and laptop PCs, WD Green SSDs are available in 2.5" 7mm and M.2 2280 models for simple, worry-free upgrading. Form Factor: M.2 2280. Every WD Green SSD includes a 3-year limited warranty so you can confidently trust WD for all your data needs. Inland Professional 120GB SSD 2.5 SATA 6Gb/s [Microcenter Brand] - Solid State. Condition is Used. Shipped with USPS First Class Package. PNY SSDs are up to 30 times more robust than HDDs, making it less likely to fail in extreme environments, including high and low temperatures. Our SSDs reduce operating temperature and potential damage from overheating. Additionally, SSDs don’t produce any noise, making your PC significantly quieter. Internal Solid State Drive (SSD). 840 Series. Allows you to breathe new life into an aging PC--enhancing boot speeds and application performance. Provides up to 50 minutes longer laptop battery life than standard HDDs. Universally compatible for the most of computers' hardware system with NGFF interface, such as Lenovo, Clevo, Dell, Acer, Asus etc. Universally compatible for the most of computers' hardware system with NGFF interface, such as Lenovo, Clevo, Dell, Acer, Asus etc. You can also replace your hard drive or a smaller SSD with a drive big enough to hold all your files. Backwards compatibility to SATA Rev. 2.0 (3Gb/s). Capacity: 120GB, Interface: SATA Rev. 3.0 (6Gb/s) – with backwards compatibility to SATA Rev. 2.0. Trending at $20.79eBay determines this price through a machine learned model of the product's sale prices within the last 90 days. Series: SSD Plus. Interface: SATA III. High sequential read speeds of up to 535 MB/s and sequential write speeds of up to 450 MB/s translate into better performance for everything you do, performing up to 20X faster than a typical hard disk drive. Trending at $30.51eBay determines this price through a machine learned model of the product's sale prices within the last 90 days. 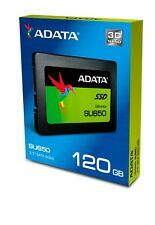 120GB Kingston A400 SSD SATA III 2.5” Internal Solid State Drive SA400S37/120GB. Condition is Used but fully functioning. Shipped with USPS First Class Package. Crucial M500 120GB 2.5" SATA Solid State Drive CT120M500SSD1 SSD Hard Drive. Condition is Used. Shipped with USPS First Class Package. You’re bidding on a VisionTek Go Drive model 900802 Solid State Drive (SSD). Low hours, only used as a spare backup. Will be wiped. Shipped as a USPS First Class Package,winning bidder pays $5 shipping to US location. 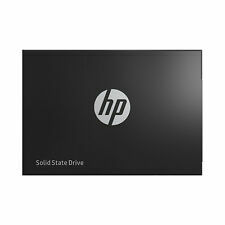 HP INTEL 120GB SSDSC2BF120A5H SSD Pro 2500 2.5" SATA 6GB/s TESTED. Pricture is from one sample only. Model: CS900. 120GB storage. our error. We are not an authorized dealer of this product and any warranty included with the product may not be honored by the manufacturer. Pickup hours Kansas City, MO 64120. Interface: SATA3. NAND Flash: 3D TLC. Capacity: 120 GB. California Law. Sequential Read Rate: up to 500 MB/s. Thickness: 0.8 mm. Form Factor: M.2 (NGFF). Laptop computers with liquid crystal display (LCD). 120gb ssd, upgraded to a bigger size. KINGSTON DIGITAL 120GB SSDNOW V300 SATA 3 2.5"
A solid-state drive is a storage device that holds data in electronic flash or solid-state memory. Once reserved mostly for smartphones and tablets, they are also proliferating in laptop and even desktop computers. 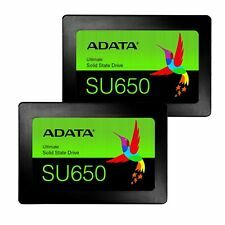 These particular drives have exactly 120GB of storage space, and they are available on eBay for various affordable prices. Why should you buy a solid-state drive? A typical solid-state drive consists of something called "NAND flash" that stores data in a large array of electronic cells. The drive is based on semiconductor technology. It has no sensitive mechanical parts that are vulnerable to damage and take time to start up. This means that the typical solid-state drive is fast, responsive, reliable, and produces minimal noise. A solid-state drive is designed to load content quicker. By placing the entire operating system on the drive, you can significantly reduce boot-up times. Another common use of a solid-state drive is to reduce loading times in video games. Large, persistent open-world games may feel more seamless as assets are loaded in quicker. Solid-state drives can function as a main drive or a secondary drive. What should you look for when choosing a used drive? A solid-state drive has a limited number of program and erase cycles before it begins to affect the integrity of the memory. It will primarily wear out when written to and not read from. You should consider how often the drive has been used before purchase. Some drives use a technique called "wear leveling" that prolongs the life of the drive by distributing data evenly across the drive. If one block has less wear, then the controller will try to store data in that block. This way, one block will not wear out faster than the others. How do you choose the right solid-state drive? Internal versus external: An internal drive is essentially the main drive of the computer although it is possible to have multiple internal drives. It fits directly into the internal SATA or SAS interface. An external drive typically offers a secondary storage option. It typically connects through a USB port. If it's internal, then you will need to pay attention to the size of the drive. A 2.5-inch drive is reserved for laptops and other computers with small form factors. A 3.5-inch drive is intended for desktop computers. Data transfer speeds: Each drive will have a sequential read and write speed that tells you how good it is at transferring data. Data security: Some solid-state drives support security features such as AES 256-bit hardware-based encryption.